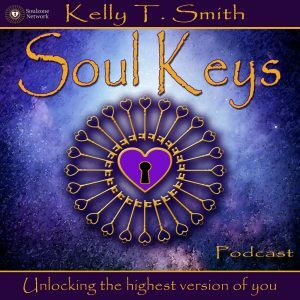 Extra Coaching - Soul Searching Zone- Intuitive Life Caoch- Kelly T. Smith - Listen to "Soul Keys" on Spreaker. Listen to “Soul Keys” on Spreaker. Thank you for joining me! You are accessing this page through one of my apps, so nice to meet you and welcome to my website! On this website, you will find a lot to explore and I will leave you a few links below to help you get started. The first place I recommend that you get started if you are interested in receiving more guidance is to sign up for my free content library! It is completely free and I have put a class and a few meditations in there for you to explore that is completely free! Also by signing up, you will gain access to my newsletter where you will receive even more tips and guidance on a regular basis. Together we explore our inner worlds and do the Soul Searching that creates positive changes and exciting transformations. You can sign up for that right here. Also if you have been enjoying my Oracle Card Apps, you can check out my other apps here! I have a few more links for you to explore below! If you need to get in contact with me for any reason, maybe you are interested in a session or you have a question or two about my apps, please do contact me, I would love to hear from you! You can do that, here! One more thing, I have exciting news. I have recently launched a new podcast and in this podcast, I draw cards and dive even deeper into the lessons and messages of each card! You can listen to that here! Here is one podcast to get you started. I think that is plenty to get you started! So happy to have you here at the Soul Searching Community! Also, do you have a question for me? Feel free to leave me a comment below and I will get back to you ASAP!! Thank you for the sharing of yourself ,your gifts and knowledge ! Looking forward to learning more about myself and what you can teach me about myself .,and how I may help others when I understand myself better ! Thank you so much Michele, and so nice to meet you. I am very excited for you to explore all of those things. It is a journey worth taking.